Sid Rafferty is between writing jobs, a rock and a hard place, and the poles of his luck. At this point, he's willing to take on just about any writing gig. But when a return to his political spin doctor days collides with what should be a simple promo piece about a new ski resort in British Columbia's playground, Sid finds himself out of his depth, over his head, in love and at risk of his life. 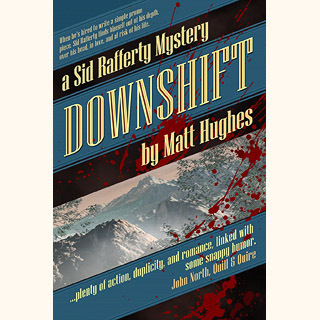 You can read an excerpt from Downshift here.